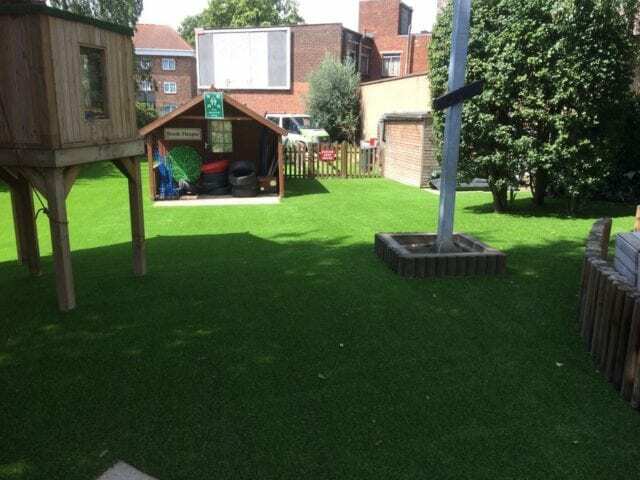 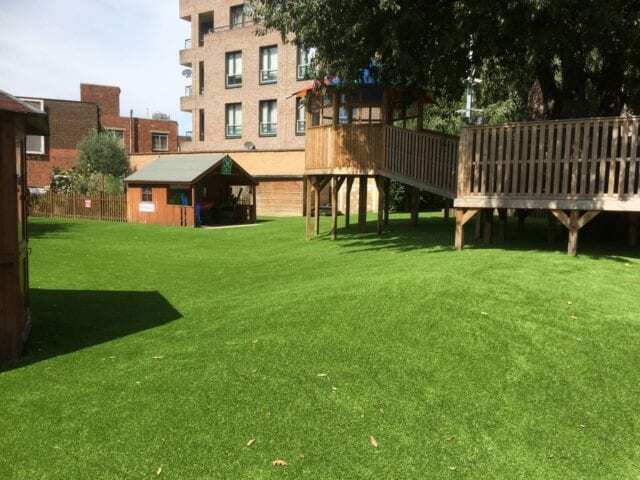 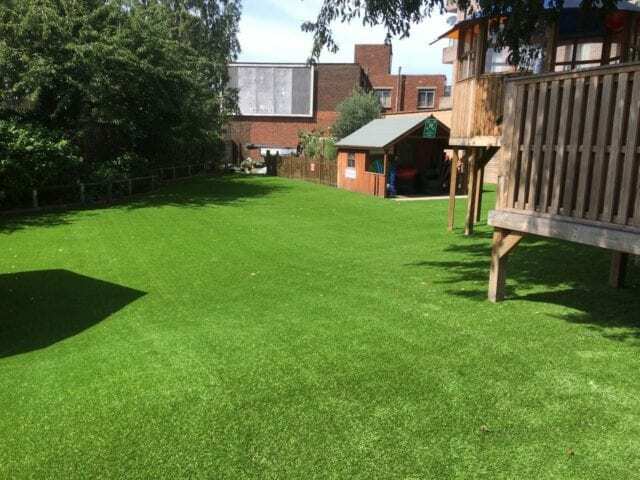 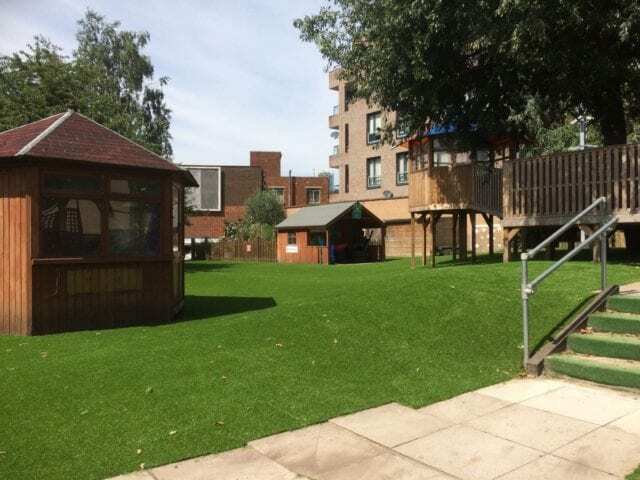 Cheetham Nursery and Children’s Centre in East London requested a project, installing over 500sqm of Trulawn Prestige to completely transform the look and feel of this nursery and children’s centre. 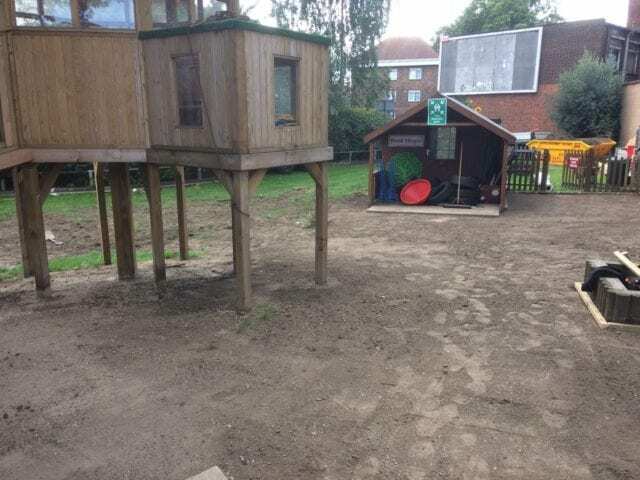 As you can see from the site plan, the outside area at this nursery was a very unusual shape; with a number of different structures present which needed to be grassed through or around. 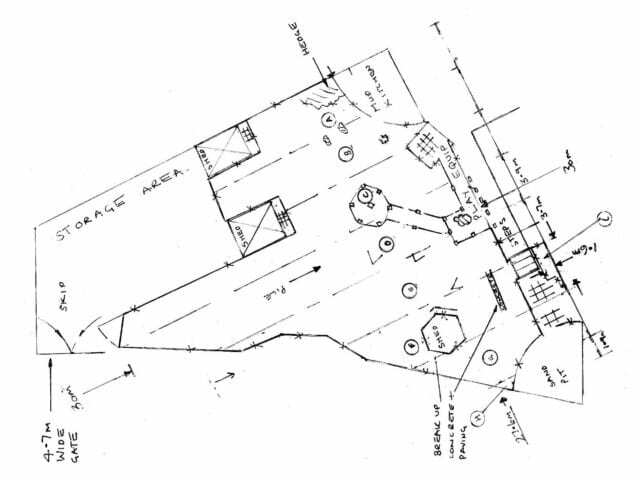 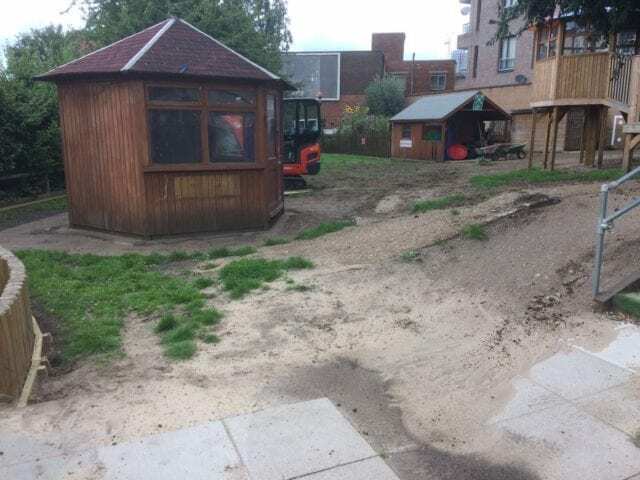 The area also had a number of slopes and mounds to deal with, which can be problematic elements for the installation team, in terms of preserving the desired camber but also excavating to install the draining base. 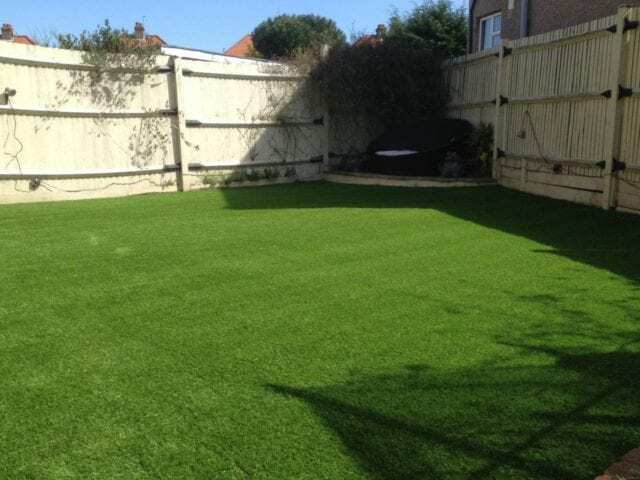 Thankfully we have extremely experienced teams to carry out our installations, who have encountered many of the same issues in other projects we have completed. 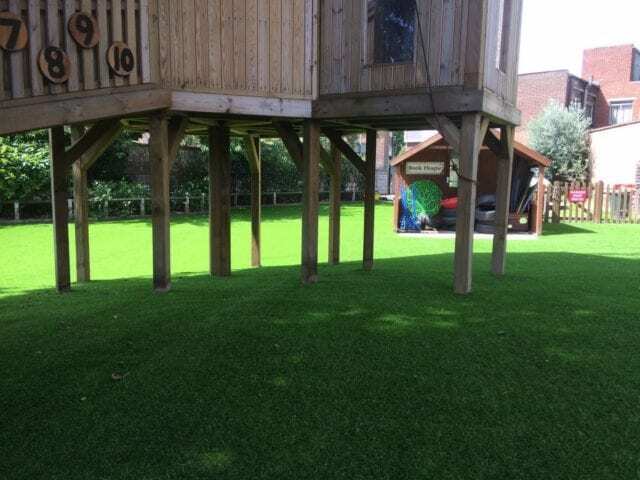 This installation involved careful planning, using multiple rolls of varying lengths to achieve the final installation. 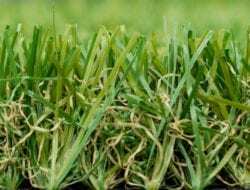 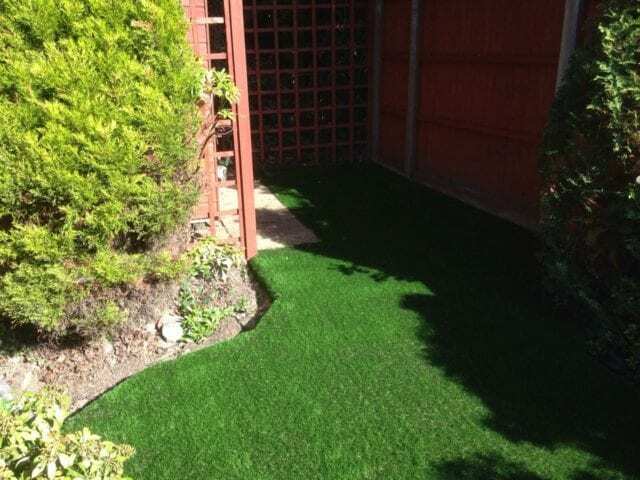 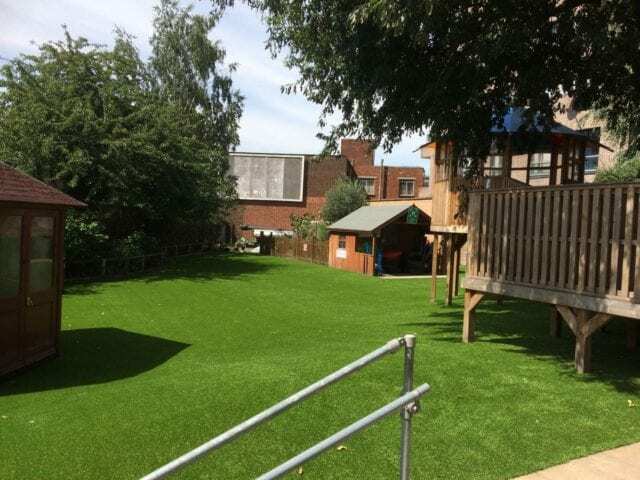 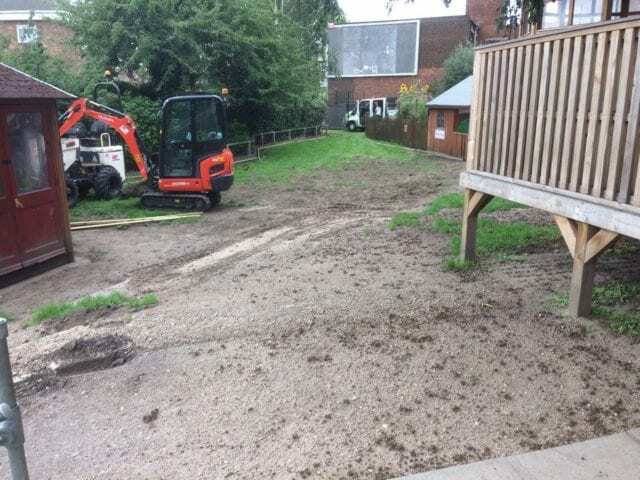 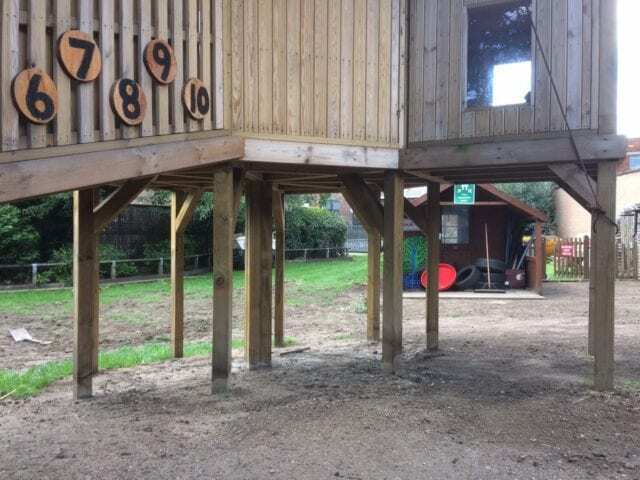 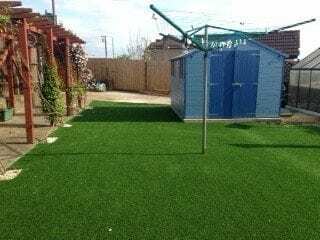 The existing ground was in very poor condition with very little grass still present in certain areas, and our Trulawn Prestige grass has made an incredible difference to Cheetham Nursery and Children’s Centre.